A 36-year-old man lost his Ford Ranger double cab to two suspected car-jackers who were masquerading as members of the security services, who accused him of not stopping at a police roadblock in Beitbridge on Tuesday morning. The incident occurred around 3am after the man had just entered the country from South Africa. 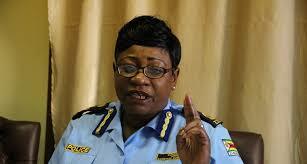 Chief police spokesperson Commissioner Charity Charamba confirmed the incident. “After passing through a police roadblock near Puma Service Station in Beitbridge, the complainant saw a motor vehicle following behind with its lights flicking indicating for him to stop,” she said. Comm Charamba said they identified themselves as Government employees in the security department and alleged that the man had not stopped at the roadblock. Comm Charamba urged members of the public to be alert and when in doubt they must drive to the nearest safe point before stopping.